Plain index cards make note-taking easy and simple. Cards are rotary-cut for uniform height and blank on each side for maximum note-taking space. Each card offers an 8 point thickness, 90 lb. 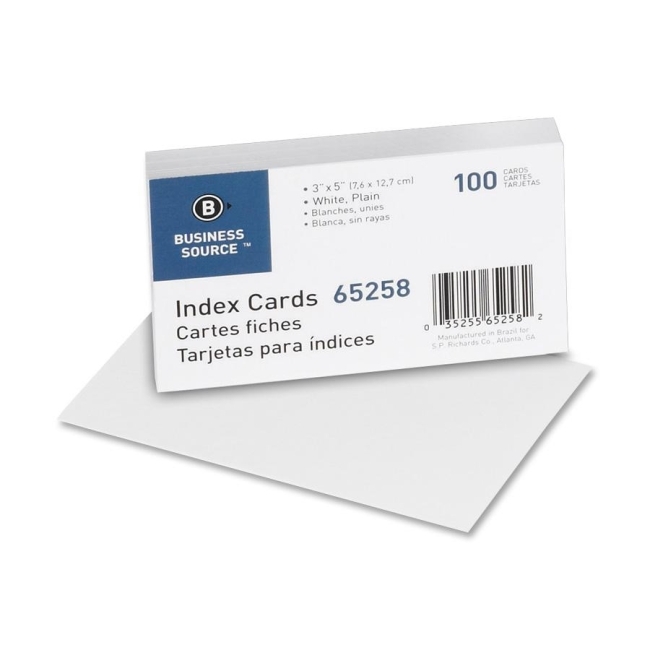 basis weight and a 165 GSM index card stock.